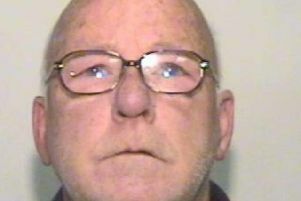 A nurse convicted of causing the death of his teenage nephew in a motorway smash seven years ago has been banned from the roads again after causing a head-on collision in Wigan. John Adeyemi, 57, blamed a “momentary lapse in concentration” for a 2010 crash on the M1, which saw his Peugeot car hit the central reservation, fatally injuring 13-year-old Olumidee Olapipo. The care worker, of Beech Hill Avenue, Beech Hill, was originally charged with causing death by dangerous driving but a guilty plea was later accepted to causing death by careless driving. Adeyemi was given 150 hours’ community service and a two-year driving disqualification by a judge sitting at Northampton Crown Court, who had been impressed by a number of character references. The boy’s family were also said to have forgiven him for the loss of life. But he was back in court this week after being summonsed by Greater Manchester Police for driving without due care and attention after his Honda Civic smashed headlong into a Volkswagen Tiguan in Wigan Lower Road on Monday. Sarah Norman, prosecuting, said Adeyemi lost control of his car on a series of bends on Wigan Lower Road, eventually ending up on the wrong side of the road. Motorist Lindsay Boyle, who was driving the VW vehicle, said she saw Adeyemi’s Civic coming around the corner, directly in her lane. She told police that she had no time to take evasive action before the car hit her own head-on. His Civic came to rest after hitting a gatepost by the road. Her injuries, to her abdomen, chest and wrist, required hospital treatment, the court heard. Magistrates were told that Adeyemyi was ordered to take an extended driving test following his 2010 death by careless driving conviction. In 2016 he was also given six penalty points on his driving licence, for a no insurance offence, putting him at risk of a fresh ban. He told the court that he risked losing his job if he was disqualfied from the roads again. Adeyemi, who pleaded guilty to driving without due care and attention in relation to the latest offence, said: “I work for an agency and they call me with jobs and I have to go there in 30 minutes or they don’t want me. The court was told that his wife was also a driver but she worked and could not give him lifts to placements. But justices disqualified him from driving for 12 months and ordered him to pay £426 in court costs and fines.